If you find yourself on Webster Street on Saturday, February 16th, what was once an innocent space for Farmers' Markets will be transformed into a dazzling stage where lions can come out to perform. 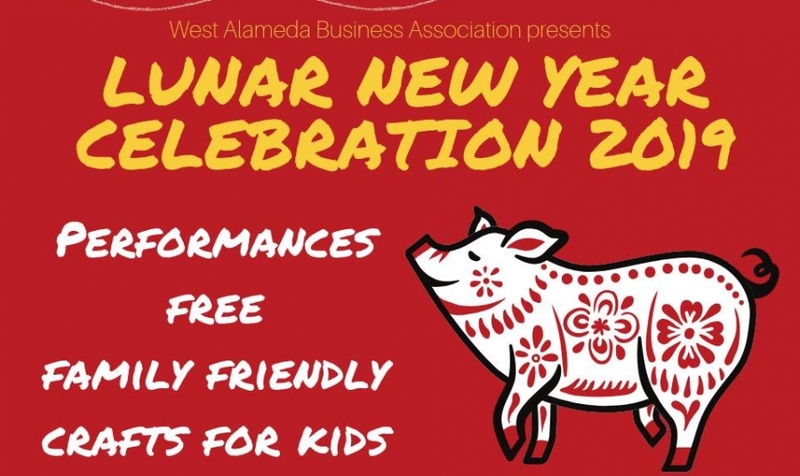 In order to celebrate the Chinese Lunar New Year and the Year of the Pig, local organizations and businesses have worked together to bring the Lunar New Year Celebration on Webster 2019 to Alameda's doorsteps. Dancers from the Toi Shan Family Association will honor Asian culture in the Bay Area by performing other traditional Chinese dances, with a Tai Zhi performance and dances by children following. Almost as exciting, this event is free, so use extra funds to usher in good luck and patronize local businesses like the East Ocean Seafood Restaurant, a beloved, family-owned eatery that has been on the island for over 30 years. They will be serving appetizers, so you can look forward to a comprehensive introduction to dim sum from a menu of over 40 fresh dumplings. Check out their mouth-watering menu here. Pig out in celebration of the Year of the Pig! This is a sign that is known to represent gentle and optimistic men and women, and those blessed by it are born in the years 1935, 1947, 1959, 1971, 1983, 1995, 2007, and 2019. Signs reset every year, cycling through twelve animals that are said to bring out different characteristics. You can find your sign here. Don't worry--this party is for everyone, as the West Alameda Business Association (WABA) will be distributing lucky envelopes to all participants, big and small. Keep an eye out for other giveaways from WABA, an organization that is breathing life into the renaissance happening on the West End of Alameda. Find out more about the event's host by clicking this link. This day is free thanks to the hard work of organizations like WABA, the West End Arts & Entertainment District, the Toi Shan Family Association and the Pacific Coast Farmers' Market Association (Alameda/Webster Farmers Market). You can find out more about these organizations by clicking their names and also by, of course, showing up to the party. You and your family are invited, and we look forward to seeing you there!